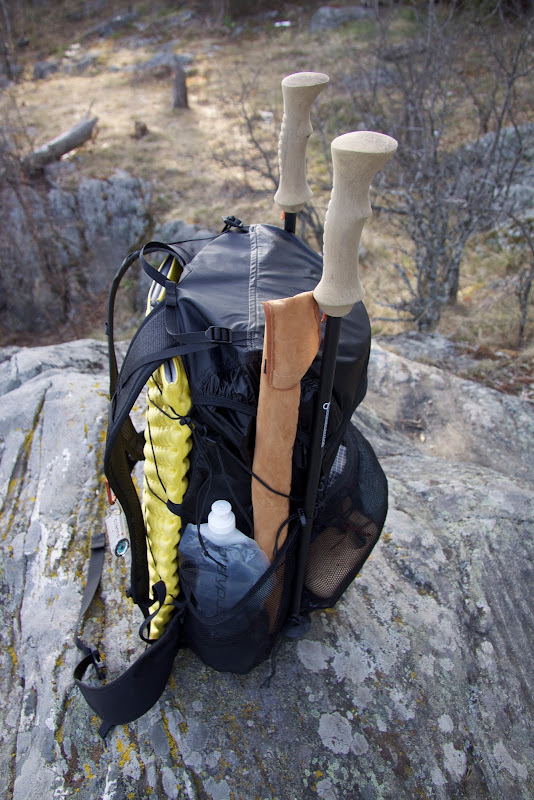 So you are getting your lightweight kit slowly but surely together, and now are looking for an UL backpack. There are many different packs, but the very lightweight ones usually have one thing in common: They do not have a frame. That is also the case with the LAUFBURSCHE huckePACK, my pack of choice for the warm months where no water adventures are involved. How to get all that gear packed up so that it carries comfortably? As I set out with Phil and Steven last week I had food for four days and 1 l of water, which put the complete weight of the gear close to the 8,5 kg marker, and packed as it was shown above the huckePACK carried like a dream. Instead of a "burrito" style of rolling up the mat, I also could use the Z Lite as an internal frame - six to eight pieces work best in my opinion. Given the slightly rectangular shape of the backpack, that is a good choice as well. 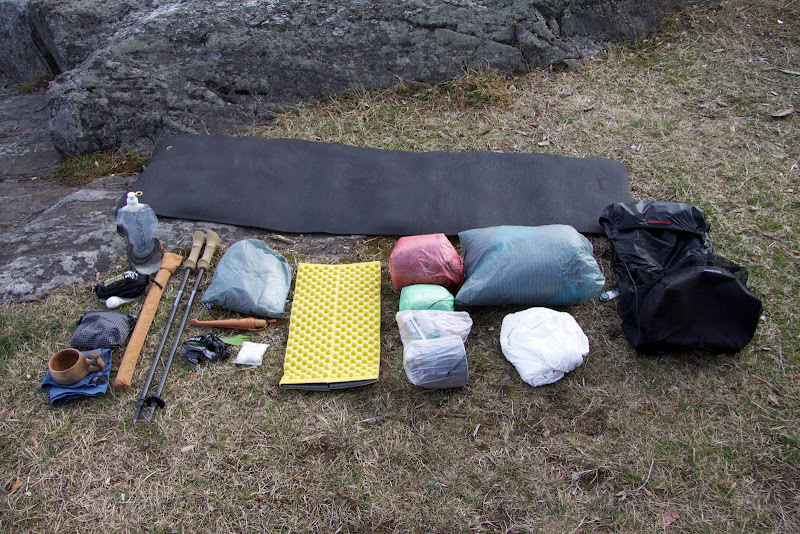 On the order of my packing, because I go so light it doesn't really matter too much where I put what in the sack; whereas in full frame packs they suggest you pack the more heavy stuff in the middle/ top and close to the back, this is of less concern if you use lightweight gear. Also, as you might be able to see from the video, I love this pack - and I am not alone. Sadly there are not yet any (dependable) news on the horizon regarding a shop or website from LAUFBURSCHE, as Roman stated, German law and the cottage manufacturing idea do not work so well together, though I am sure we will see the company see the light of day during the summer, and that demand for these high quality products will quickly have Mateusz make long hours =) Until then, check out the different reviews and photos of the huckePACK!